The Unthanks is an English folk band based in Northumberland. It’s a pretty tight unit fronted by sisters Becky and Rachel Unthank, the latter being married to band member Adrian McNally who is also the group's manager, musical arranger and producer. Their new album Mount the Air was recorded in their own makeshift studio in Northumberland, located in an old granary building 200 yards from where Rachel Unthank and Adrian McNally live with their young kids. Mount the Air is released through the band’s own label Rabbel Rouser, which further reinforces group’s demand for complete control and autonomy over the material they produce. 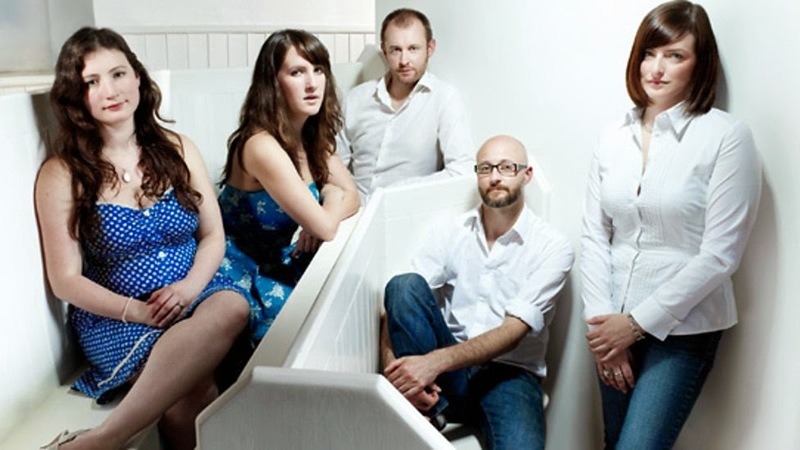 To now, The Unthanks was a big deal on the British folk scene, garnering all manner of top awards for records released during the noughties. Flutter marks shift in their sound, a growth that draws on downtempo jazz riffs, David Holmes-style cinematic electronic compositions, and Portishead-type gloriously melancholic experimental rock sounds. This makes Flutter a pretty unique sounding record that works on both the listener’s sonic and visual senses. These guys ought to do the next James Bond movie song.